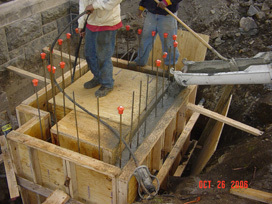 Title : Sanitary Sewer Repairs, USMA, West Point, N.Y. 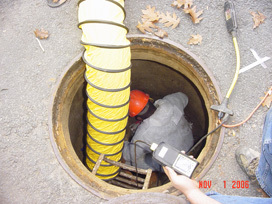 Replaced several manholes in various locations. 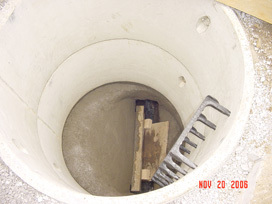 Manholes were cast in place and precast to replace deteriorating existing ones. 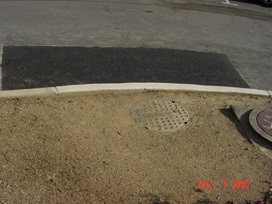 Work involved site restoration, asphalt paving and concrete sidewalks/curbs. 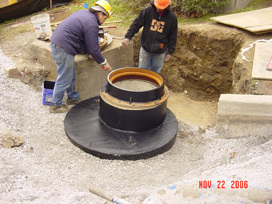 New cast in place manhole construction at Grant Hall. 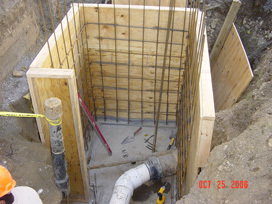 New cast in place manhole construction at Grant Hall. New cast in place manhole construction at Grant Hall. 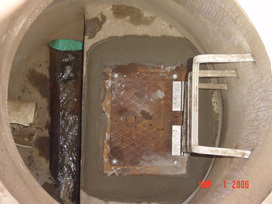 Interior of new cast in place, manhole at Grant Hall. Video of new sewer line and manhole at Grant Hall . 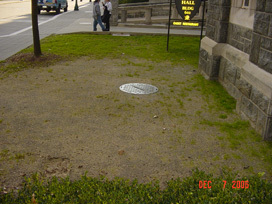 Completed cast in place manhole at Grant Hall. 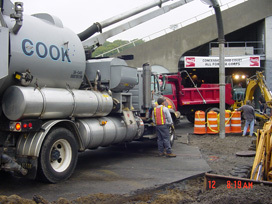 Sewer manhole repairs and cleaning at Mitchie Stadium. 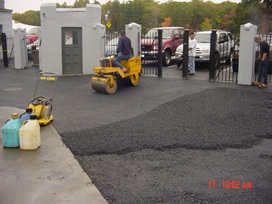 New asphalt paving at Mitchie Stadium. Existing manhole demolition at power plant. 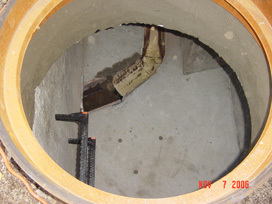 Interior of new pre-cast manhole at Power Plant. Coating of new pre-cast manhole at Power Plant. 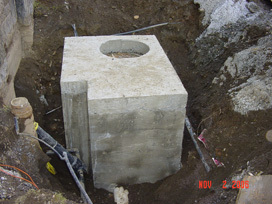 Completed pre-cast manhole at power plant. 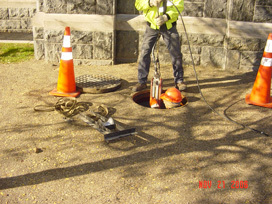 Combination sewer and storm, manhole hatchway repairs at Thayer Hotel. 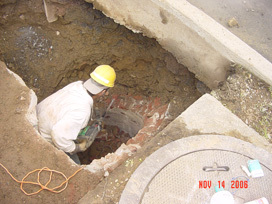 Combination manhole hatchway repairs at Thayer Hotel.